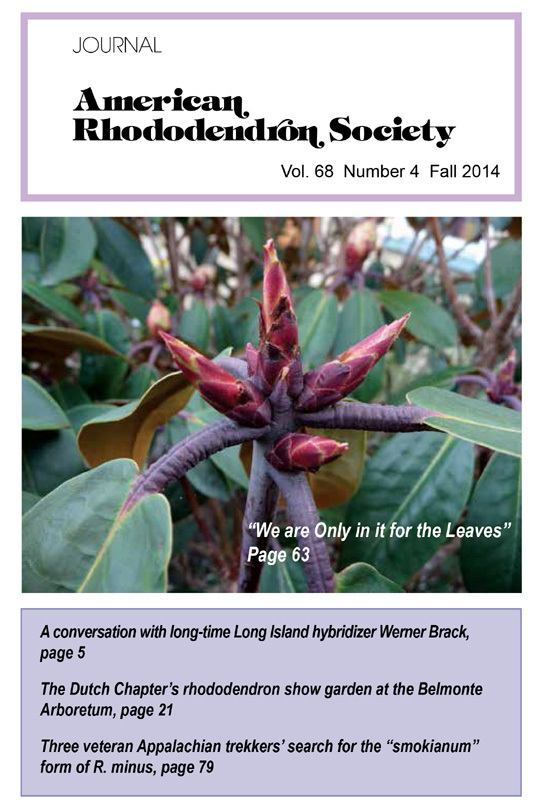 Current Members of ARS may access the Journal American Rhododendron Society online, 2012 to present. After you are registered, LOG IN at Office of the ARS with your user name and password to access beautiful online copies of the Journal. Archives of the Journal ARS from 1947 to Fall 2004 are available from Virginia Tech. Digital archives Winter 2004 through 2011 are pending. IF YOU ARE NOT YET A MEMBER OF ARS AND WANT TO SEE THIS BEAUTIFUL JOURNAL, JOIN HERE.